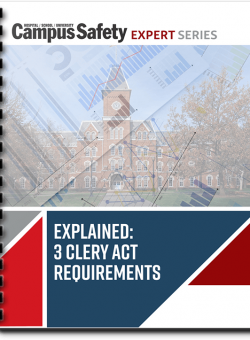 Questions often arise about what is needed to comply with the Clery Act and its requirements for an annual report on crime statistics, and, finally, we share a comprehensive look. Download your copy today. 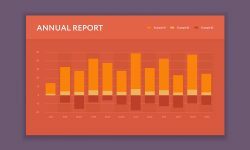 Annual Security Reports Are Due Soon! 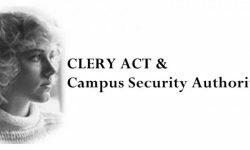 How Well Do You Know Your Clery “Stuff”? 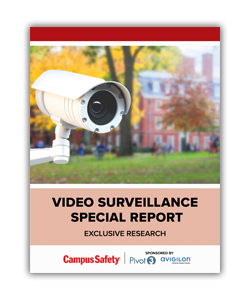 Are you a campus public safety official responsible for compiling and distributing your school’s Annual Security Report? Take this quick quiz to test your ASR knowledge! Hayley Hanson and Ben Irwin from Husch Blackwell will go in-depth regarding compliance obligations and discuss their recent study of 2017 Clery enforcement measures. The video-based training tool features modules such as trauma informed response and communicating with the campus community. The campus safety chief was also the recipient of the 2015 Campus Safety Director of the Year Award for higher ed institutions. 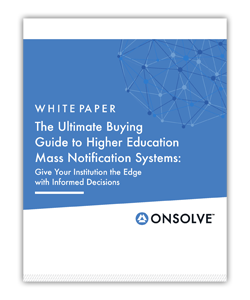 View this previously recorded webcast from October 30th as we address common compliance challenges based on analysis of Department of Education program reviews. During a sexual assault, seven out of ten female survivors reported significant immobility while nearly one in two experienced extreme immobility.